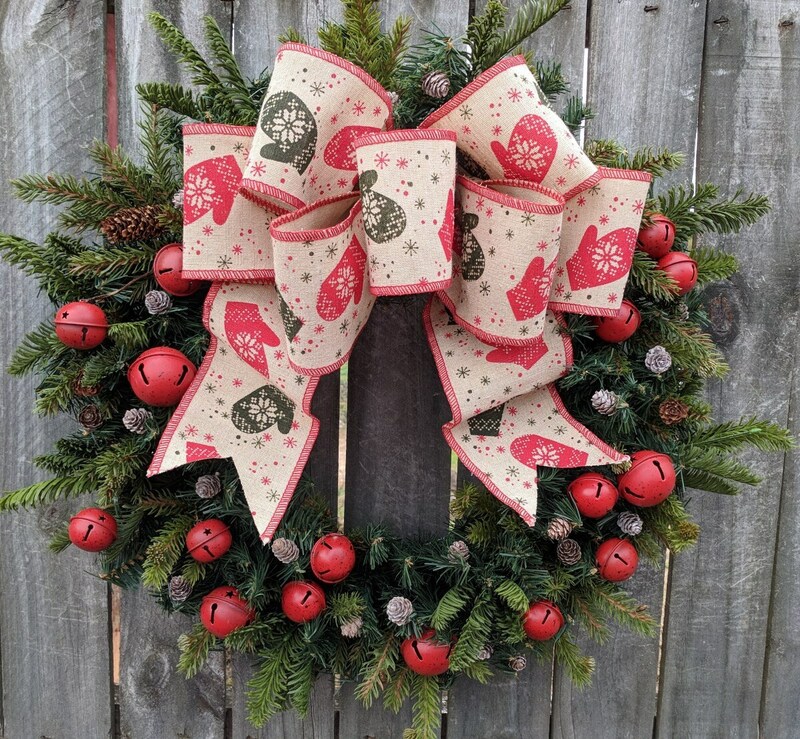 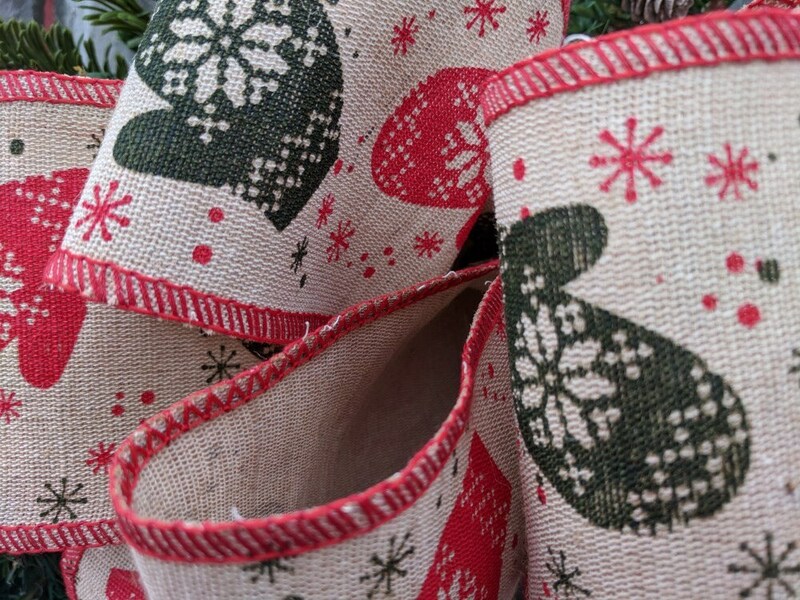 In this Christmas and wintertime wreath, a lovely wired burlap colored bow with an adorable mitten design is the focal point. 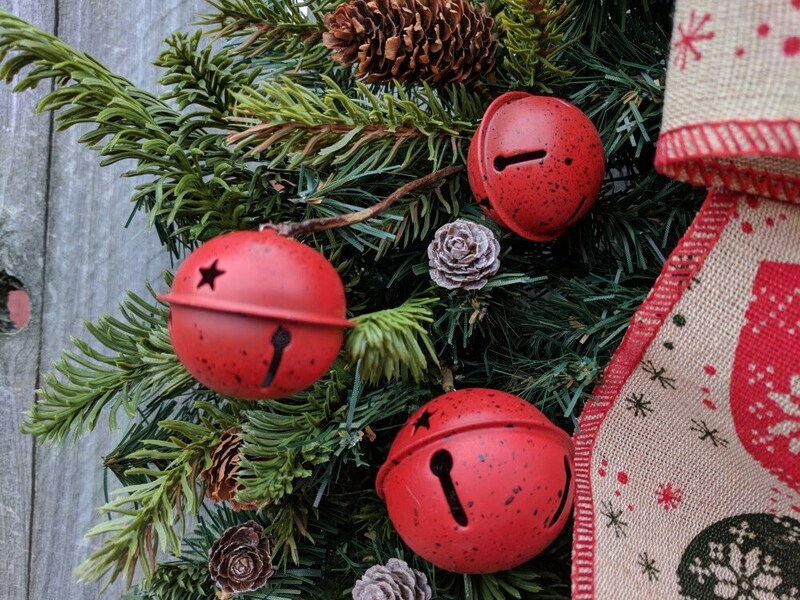 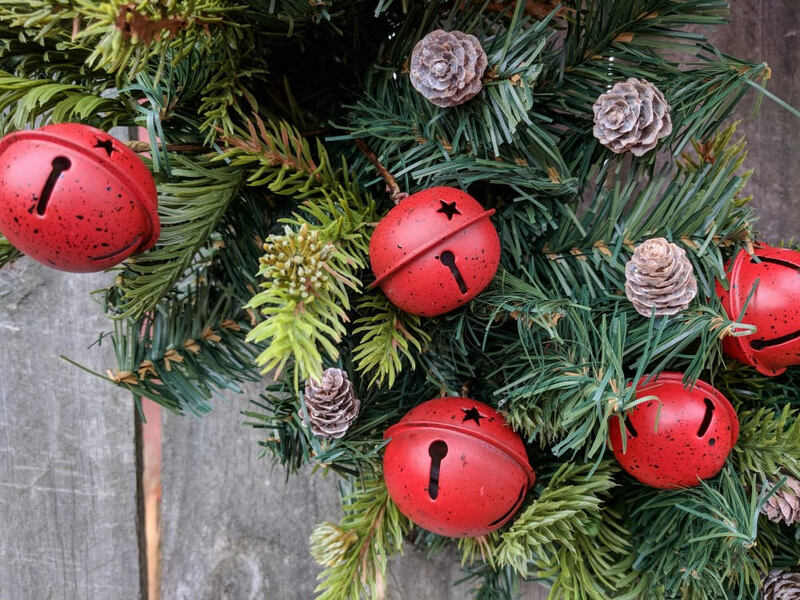 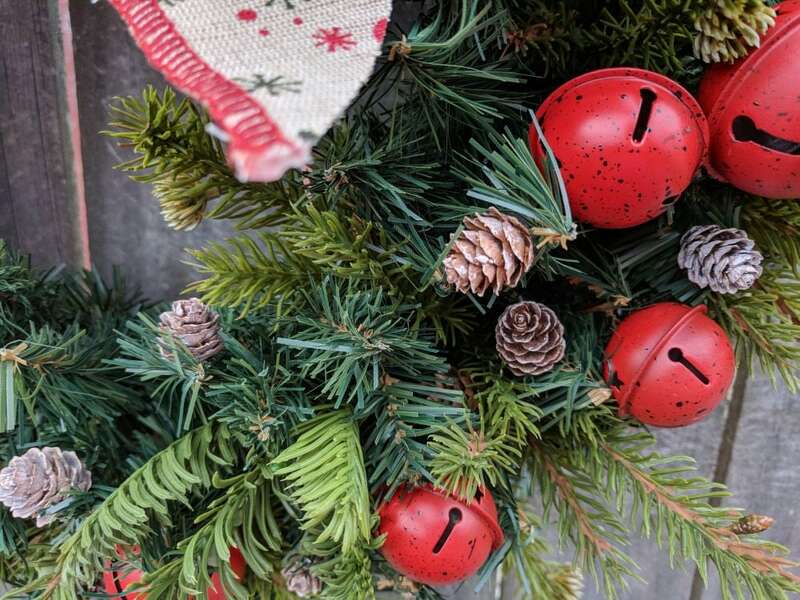 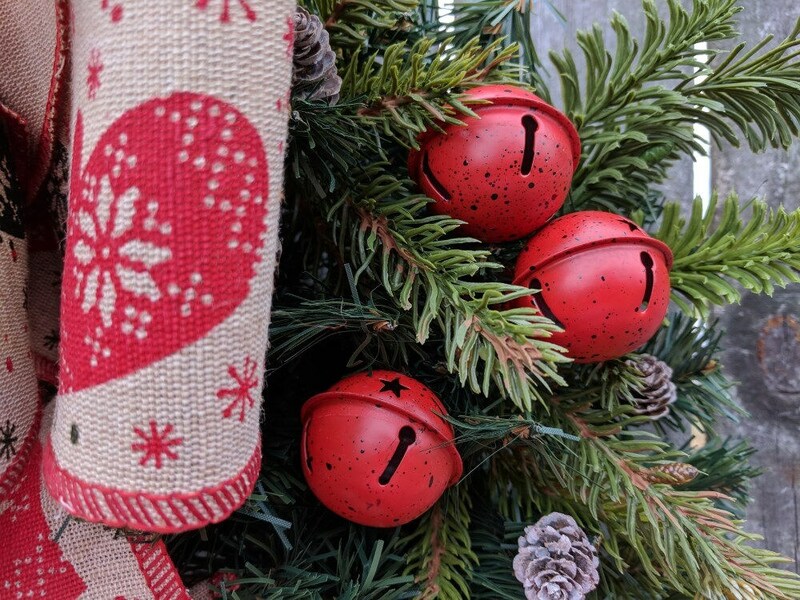 Coordinating rustic jingle bells, tiny pinecones and realistic greenery make beautiful backdrop. 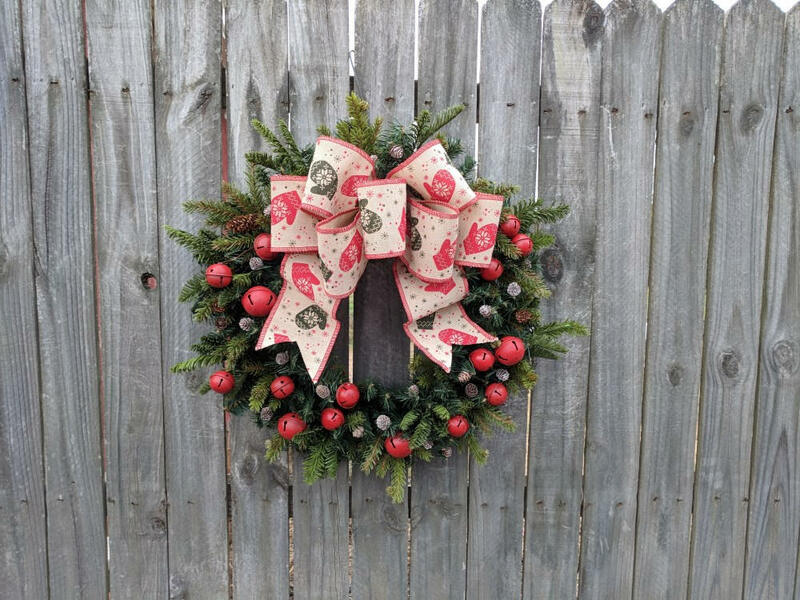 This wreath is perfect for use during Christmas and through winter. 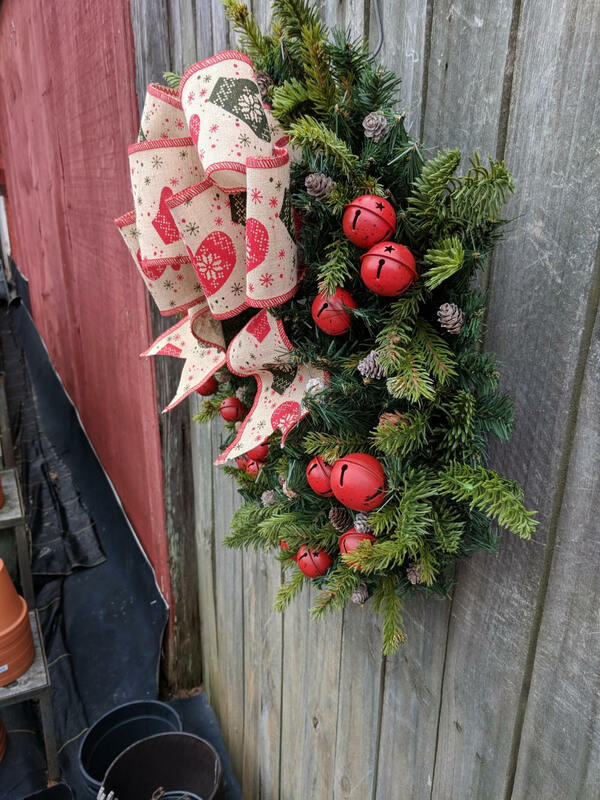 This wreath will require a little bit of fluffing of the ribbon upon arrival; however, everything is wired, so fluffing will be easy.